News: The most significant development at this past week’s Consumer Electronics Show — and perhaps the most significant development in broadcast TV for the past 25 years — was the keynote address by CBS CEO Les Moonves. Why? 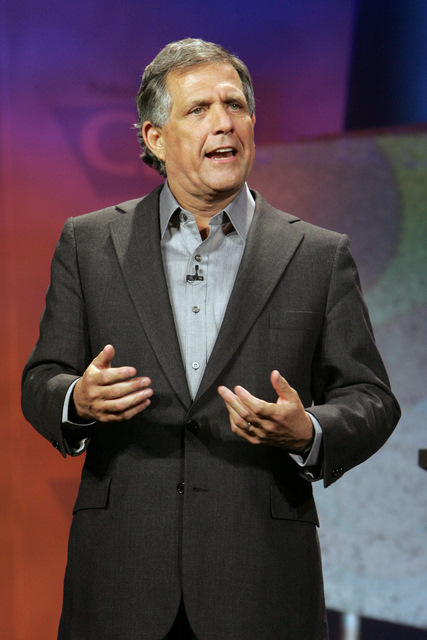 Moonves this week announced deals: (1) allowing users of SlingBox to “mashup”– meaning cut and splice–CBS shows at their own pleasure, and (2) airing the best 15-second YouTube videos on CBS, the first to air before this year’s Super Bowl. Moonves has clearly embraced the Web 2.0 technologies, and intends to allow users to use CBS content in their own creations. Said Moonves, “There’s no such thing as old or new media anymore. We’re just media.” (YouTube is now even thinking of having its own TV shows and channel.) This is on top of CBS’s current deal to run parts of shows, like Letterman and NCIS, on a channel on YouTube. Analysis: I don’t like making predictions, but a decade from now we may look back at this decision by CBS as the defining moment for a huge transformation in broadcast TV, which propelled it into a completely different model of providing content to users–from a couch potato model to the mashup model. Web 3.0, here we come. If you want to create a video for the CBS promotion on Super Bowl Sunday, go here. Nevermind that Apple may be infringing Cisco’s federally registered trademark in “iPhone”, the iPhone is pretty sleek. But at $499 a pop, that’s a pretty hefty price tag, almost the cost of some laptops. Snakes on a plane? YouTube on cellphones? Analysis: $15 sounds like a really high price tag to me (in addition to high cost of phone service). I haven’t bought a new cellphone recently, but if the quality of streaming images is not that great, I wonder how many consumers will sign up. On the other hand, as cellphones incorporate greater visual capability, the streaming of videos on cellphones seems to be a natural complement to the growing phenomenon of people recording videos on cellphones (as in the UCLA taser incident). News: BBC has a survey of people in Britain who watch online videos. 46% of online viewers say they watch less TV (including 20% who say they watch a lot less TV). However, online viewers only make up 9% of the British population (although it’s 28% among 16 to 24 year olds), and 54% of online viewers say they still watch the same amount of TV. Analysis: The key stat to me is the number of 16 to 24 year olds who watch online videos, 28%. Advertisers covet the attention of that segment of the population, so one should hardly doubt that there’s a business to be made in online videos. Is the world of “YouTube surveillance” going too far? Analysis: At least from the description in the article, I think the students were wrong for what they did, especially if they wanted their teacher to get mad so they could catch it on tape. The article suggests that the teacher was a good teacher and supported by students. Our lives will be drastically different if everything outside of our homes can be taped on video and posted on YouTube. Although it’s true that video can catch inappropriate behavior and comments by politicians, police officers, and washed-up actors, there’s also a negative element to making everything fair game to video. Video of the week: Is this the future of the Internet?